H: 95"; W: 18"; D: 10"
Daniel Rose was first listed as a clockmaker in 1779 with a shop on Penn Street between 4th and 5th Streets. He was a Lieutenant in the Revolutionary War, and like many other clockmakers was active in public affairs throughout his life. He was also an accomplished musician and a collector of the arts at one time having a museum in his house. 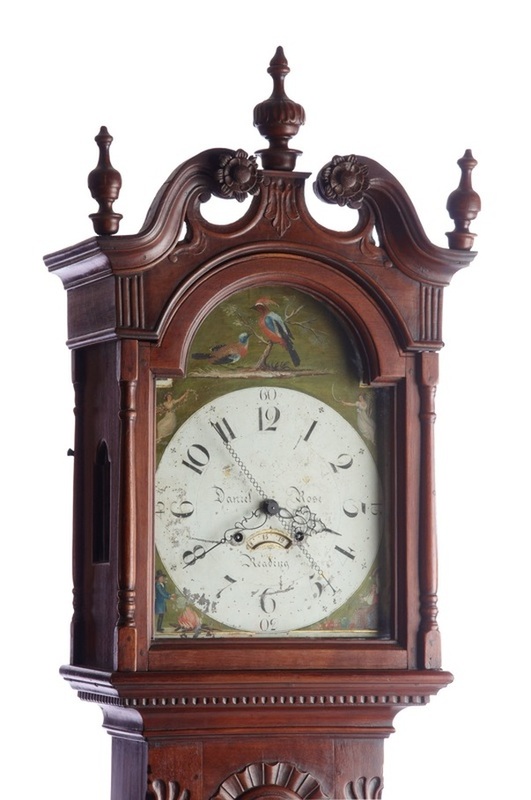 He was an accomplished clockmaker and may have been the first maker of musical clocks in Reading. 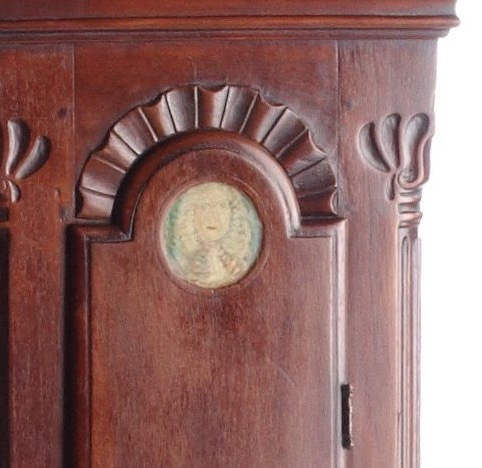 This case has its original finials, carved rosettes and rich relief carving across the pediment, on the waist and base. The original hand painted dial illustrates the four seasons in the spandrels and a pair of birds in the arch. There is an unusual oculus in the waist door with a portrait of Charles II of England, who bestowed the original land grant for Pennsylvania to William Penn.